This weekend has gone by incredibly too fast. Anyone with me? Two weeks left of school before winter break, and I know I need to pick up the pace a little with my schoolwork...! To all of you finishing up this semester of high school/college, are you up to speed? Prepared for finals? ...eeeps! I've been eager to work collars into outfits as much as possible, so I decided to layer one of my favorite cardigans over my favorite chambray button-up. As I look at these photos today I'm a little concerned that my upper half seems bulky because of the layers though; what do you think? Cutest shoes! I love this outfit. Darling post - I really adore your outfits. 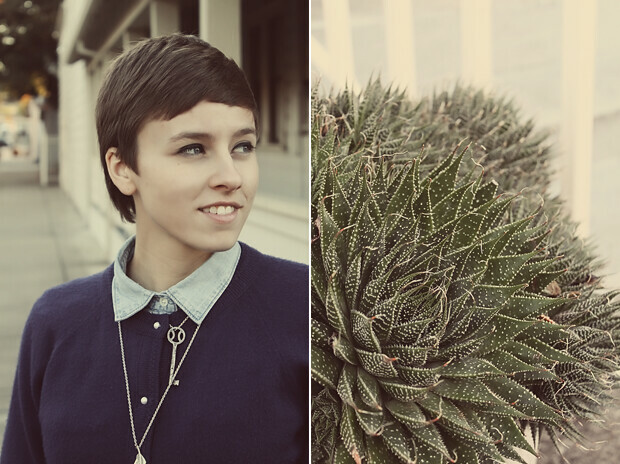 You have great style, especially with such lovely vintage flare :) Glad I found your blog. You look so lovely! The button up layered under the cardigan is such a great look - I'll definitely have to try it sometime soon! And as for school, I'm definitely in the same boat of having to pick up the pace. Which is clearly going well, since I'm reading blogs. Whoops! 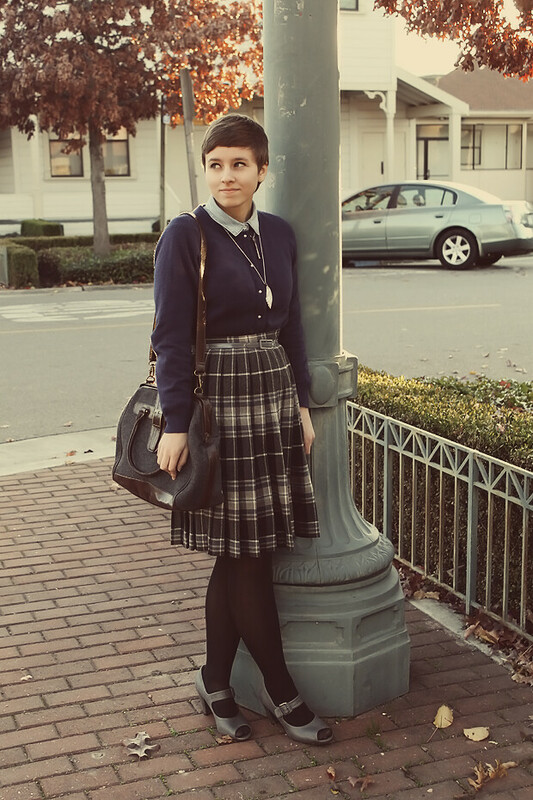 I don't think the sweater looks bulky at all, it looks great tucked into the belted skirt! Sweet little heels too. 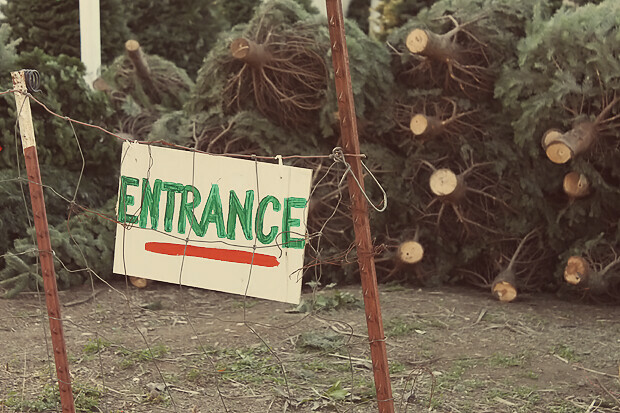 My family always buys their tree at Lowe's hardware store, definitely not the most glam or quaint place. So cute!! I love collars sticking out of sweaters. :) And yay! 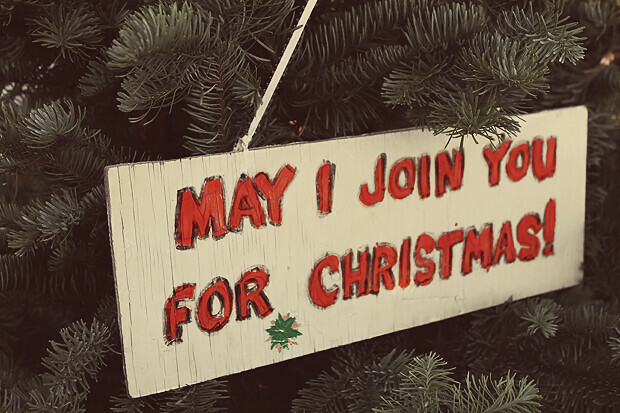 for Christmas trees! This weekend has really gone by too quickly! 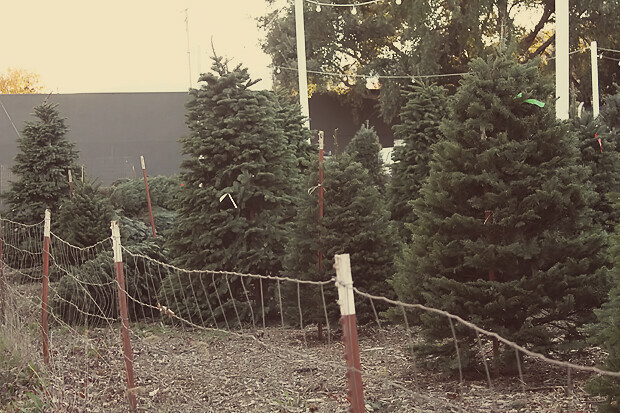 Haha aw, I'm pretty sure my mom got our christmas tree from home depot ;-) I wish we could have gone to a cute little christmas tree grove! I know, this weekend went by far too quickly. I had tons of homework due to some really obnoxious students in class on Friday, and so the whole class got extra homework. :/ Not my favorite way to spend my Sunday. But I had a really lovely weekend! Christmas spirit is *everywhere*! You look gorgeous, I love pleated skirts like that and this one suits you perfectly! you look awesome! 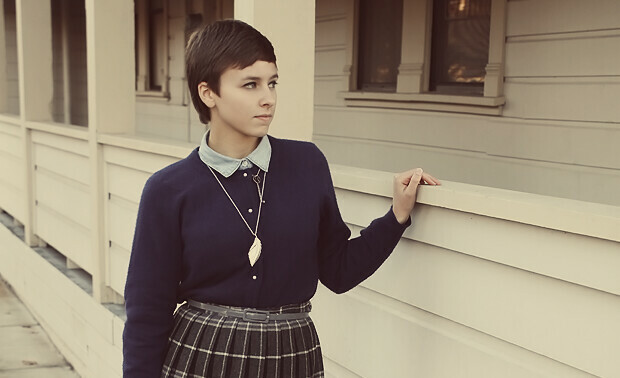 love you adorable skirt and that necklace is super pretty! 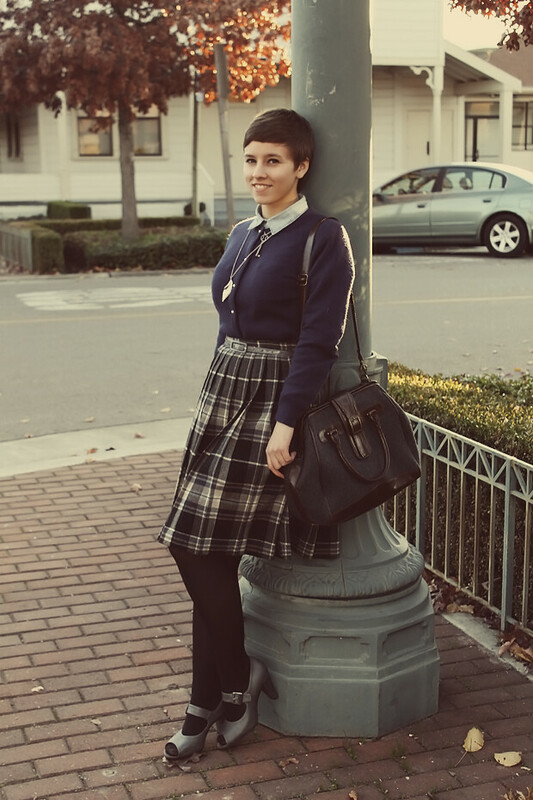 i love this sweet schoolgirl look! This is wonderful - I adore your outfit and those shoes are amazing!